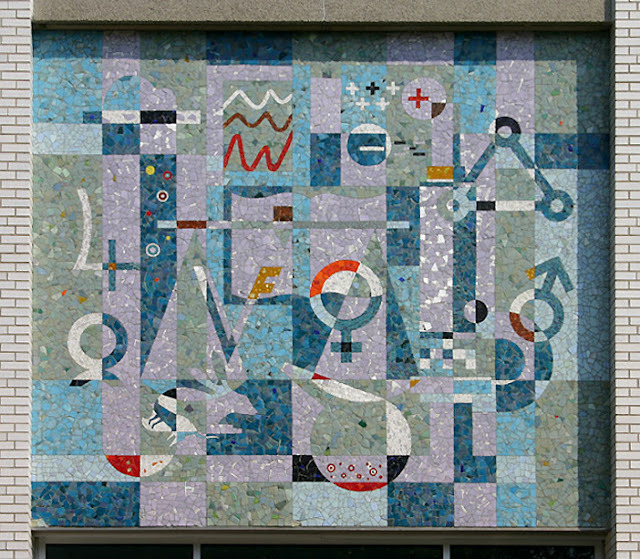 Austrian-Canadian artist Count Alex von Svoboda (b.1929) created the mosaic mural that adorns the entrance of Connaught Laboratories building 83 in Toronto, Canada. 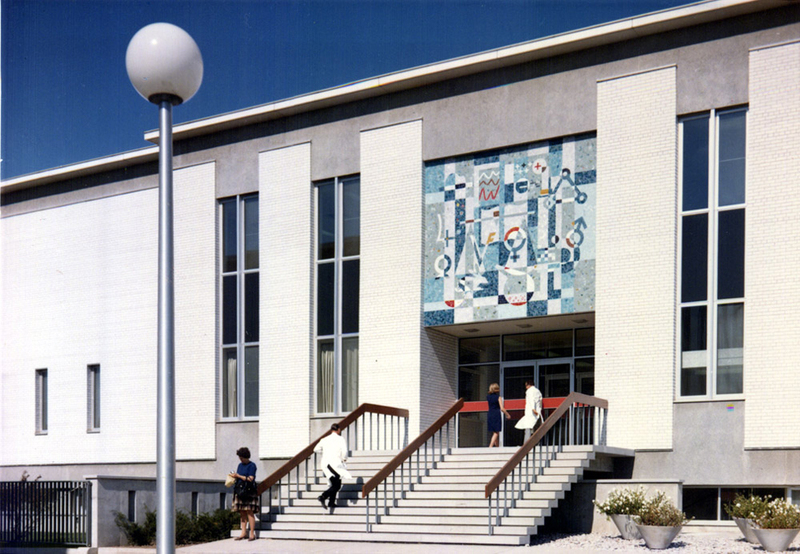 The 20' x 20' smalti tile mural was unveiled in 1966 and took a team of mosaic artists 341 total hours to complete. For ease of assembly and installation, the mosaic was produced using the "indirect" method, whereby tiles are glued face-down to sheets of paper which are later installed onto a pre-mortared wall (in its final location), when the mortar sets the paper is removed from the face of the mosaic leaving the finished mural. When asked to describe the design, Alex stated that the mural symbolizes "the progress and research of Connaught Labs (a medical research firm) and will outlive the next century". 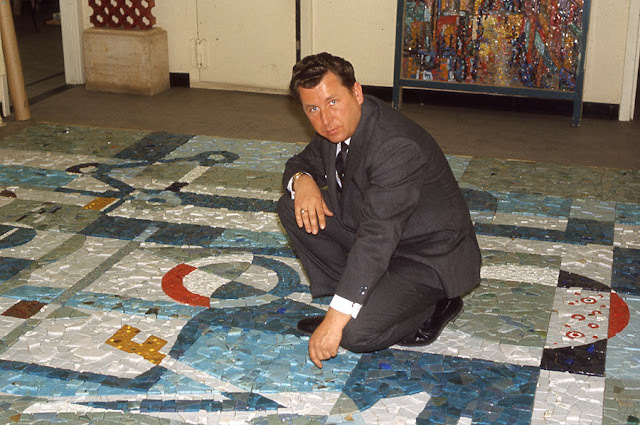 For more info on von Svoboda and this great mid-century mosaic click here. 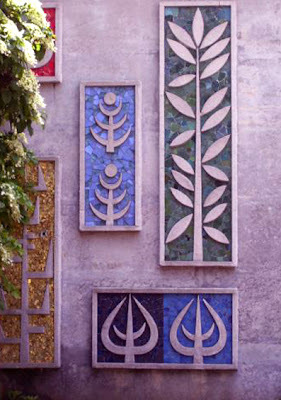 Alex completed several other great mosaics during his prolific career; I especially like the above mosaic panels he created in 1962 for the Royal Botanical Gardens in Ontario. To learn more about Alex and his art see his website here and be sure to see my post on The Pilgrimage of Man mosaic that he art directed for. All images above via Health Heritage Research, Ontario, Canada.